The Best Alternative to the Dealerships! We provide services that enhance your vehicle’s overall performance. Your vehicle’s enhancement starts with a welcoming smile and an enjoyable service experience. PALS Ocala Auto Repair keeps its auto repairs and maintenance services quick, but thorough. We respect your time and know you have plenty of places you’d rather be. But a short visit to our facility will make sure you always get there on time. There are plenty of options for auto services, but only one PALS Ocala Auto Repair. Just ask about our friendly and professional staff of technicians and you’ll discover that we’re this area’s best alternative to the dealerships. Timing is the most important part of quality service. Responsible drivers come to us first for all services because they know they can trust us. Visit Our One-Stop Repair Shop! Our team fixes all makes and models of vehicles. Whatever you’re driving, it has the best chance at a longer road-life and stronger road-performance at PALS Ocala Auto Repair. The goal is to make sure your driving experiences are worry-free. 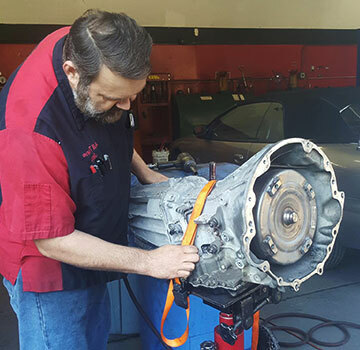 We make sure your vehicle’s engine, mechanical, and electrical components are healthy at all times. All we need is your trust and a few moments of your time. Our team would much rather see you drive to our shop for a checkup than be towed to us for a complex repair. However, the team at PALS Ocala Auto Repair wants you to know that we can fix any vehicle in any condition, so there’s still no need to worry. Give us a call today to schedule your next service appointment. We look forward to serving you and servicing your vehicle.